Solar pool heaters have several advantages: they are energy efficient, environmentally friendly and have an infinite source of renewable energy available. Deciding whether to choose one over a traditional pool heat pump can depend on price and your geographical location. If your house gets enough sunlight during the year to make your solar heater purchase viable, then installing one would be a good choice. Your roof size is another important factor in deciding whether to get a pool heater. The larger your roof, the more solar panels you can fit, and thus the larger your pool heating capacity will be. With a large enough roof, you will be able to harness direct solar energy and will not have to be so dependent on your home’s physical location. Whether you’d like to build your own solar pool heater through a DIY (do it yourself) kit or hire a contractor, a solar pool heater system consists of solar panels, a filtration system, a pump, and a flow control device. Solar panels or solar collectors are used to capture the suns energy and deliver it as heat to water through a system of channels. The filtration system keeps dirt, leafs and debris from the pool away from solar collectors. The pump is used to circulate water from the pool, across the filtering system, the solar collectors and back to the pool again. The flow control device controls the volume of hot water that is sent to the pool from the solar collectors. The flow control device responds to a temperature sensor in the pool. The size of the solar collectors will depend on swimming pool size, geographical location, required water temperature, wind conditions and swimming pool season. On average, you will need roughly 50%-80% of solar panel surface area per swimming pool area. Solar pool heating systems are one of the most cost-effective ways of using renewable energy at home. 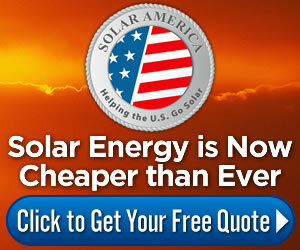 Compared to other uses of solar power, they are relatively inexpensive and simple to install. They can be easily integrated into your existing pool pumping and filtering system.